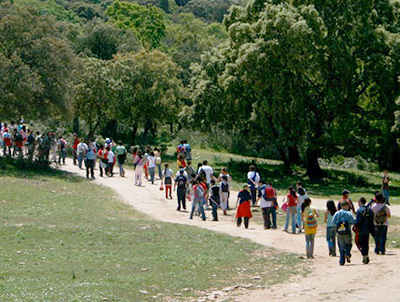 Algaba de Ronda as Environmental Education Center offers you the pleasure of living unique cultural experiences linked to geology, ethnography, botany, and agroecology among other scientific views but without forgetting the possibility to enjoy the fullness, serenity and vitality that the Mediterranean forest. We report and value him for his extraordinary educational role. ORNITHOLOGY: The world of birds. 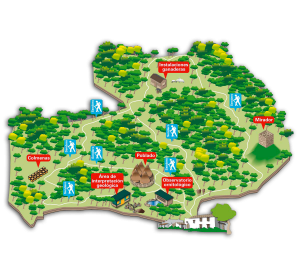 Observatory for interpretation. ROCKS AND LANDSCAPES: Geology of the Serranía de Ronda. Thematic space. ECOLOGICAL FARMING AND AGROECOLOGY: Zoo nucleus of breeds in danger of extinction. 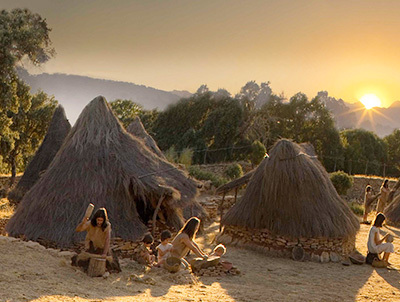 The Prehistoric Village of La Algaba. The Origins of the City of Ronda. After 20 years of archaeological research, we have been able to travel to the past by recreating a prehistoric settlement on the Algaba estate with its prehistoric sedentary society model. This is the archaeosperimental reproduction of a Neolithic settlement, with an extension of 4,000 square meters bordered by a wall of Stone of 250m of perimeter, whose organic design adapts to the orography of the land and in whose interior have been constructed 16 cabins equipped with all type of utensils and household goods and surrounded of the primeval forest from where its inhabitants obtained everything when it needed.